One of the best 'new' hotels in the area, not least if you remember what used to stand here. Set on the clifftops overlooking the Bay of Gdańsk, the hotel was originally built in 1929 and reflected Gdynia’s rapid expansion and the leading architectural designs of the day. Devastated like so much else during WWII, the nineties saw a rather blocky and functional hotel open on the spot which as the years passed by aged very badly. New management went beyond restoring the building instead turning it into one of the most modern and attractive hotels in the city. A fourth floor terrace (which hosts a bar in the summer), a private garden with kids' play area, a pathway down to the sea below and excellent in-house restaurant compliment the wonderful rooms. 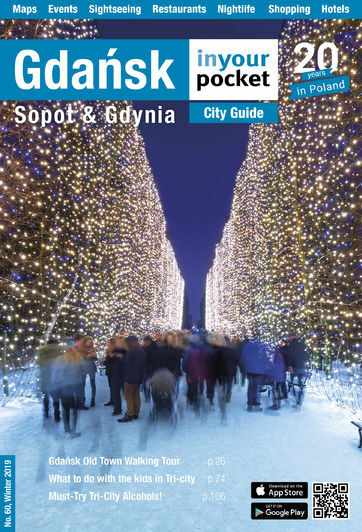 A 5 minute walk will see you in the heart of Gdynia.